Welcome to Camp Tournesol and its sister companies! Our mission is to provide rich and engaging experiential French programs that support bilingualism for the next generation of Canadians. Whether your child is Francophone, in French Immersion, or has no French experience, we have a program suitable for them. Children who attend our camps, go away on our trips, or join our year-round academic programs will see their French learning journey impacted positively. Their vocabulary will be enriched, their conversation will be more spontaneous and their French speaking skills will be improved. They will gain confidence while having a blast in French!! This will lead to improved academic success during the school year. Did you know? 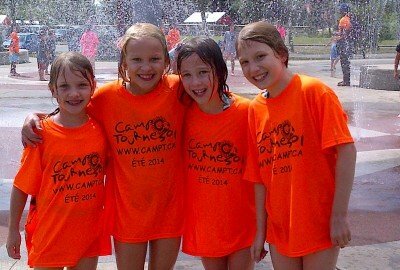 We are the leading French summer camp provider in Ontario. Love My Planet English Eco Camp (age 8-12):English Eco Camps to learn how to make small positive changes in your world to reduce your ecological footprint with FUN, ENGAGING, and HANDS-ON activities. Your child will become Curious, Informed, and Aware with these eco-friendly programs! At Camp Tournesol, interest in developing the whole child drives all aspects of our programming. We aim to provide an environment that supports not only language acquisition and maintenance, but also our campers’ ability to thrive. That is, we aim to complement the fabulous work of our parents! We have invested and focused on child development over the years, inviting experienced educators to advance our curriculum to ensure that your child will be learning and growing with us while having fun. 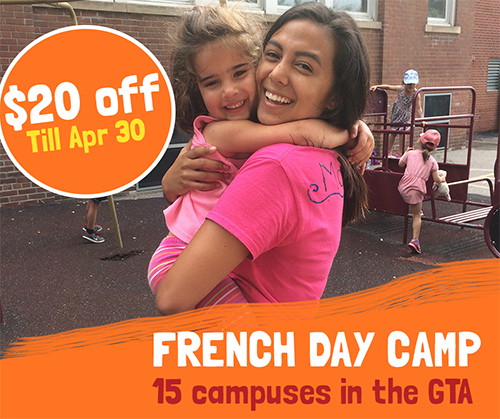 Our multiple campuses across the GTA provide French summer day camps to children age 4 to 14 of a variety of French backgrounds. 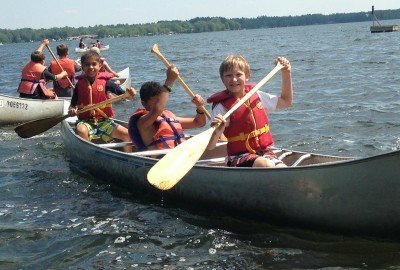 Our French overnight camps in Muskoka immerse French immersion students in a unique environment to enrich their French. Our year-round French Academy with LIVE virtual classrooms and curriculum aligned to the DELF certification – as well as our one-on-one tutoring – provides the academic support parents are looking for. Our French school trips in Ontario provide schools with an opportunity to expose their students to an fantastic outdoor experience in French without the long drive. To read more details about what makes Camp Tournesol a great educational camp, read the article here. 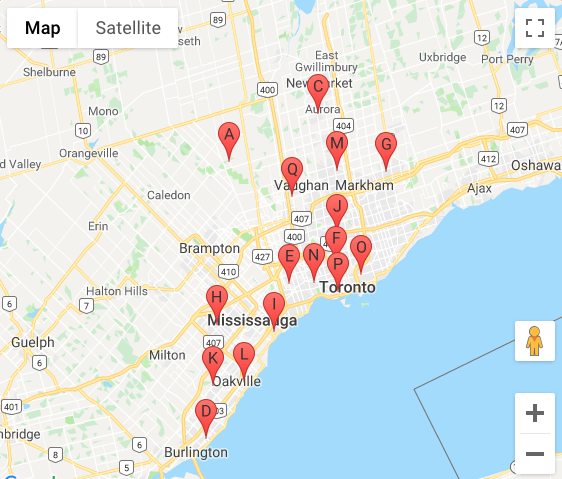 We offer French Summer Camps for kids living inAurora, Markham, Mississauga South, Mississauga South-West, Mississauga North, North York, Oakville North, Oakville South, Richmond Hill, Scarborough-Bluffs, Toronto Bloor-West, Toronto-Danforth, Toronto-Downtown, Toronto Midtown and Vaughan. 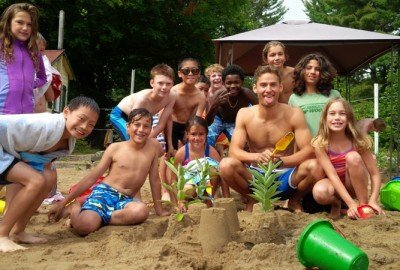 We also offer a wide variety of French overnight camps in Ontario as well as a trip to Quebec. Access our Fee page for all the details on our fees, multiple discounts and payment plans. Would you like to win a FREE week at our day camp AND a family pass for 4 to Cineplex movies with popcorn included? 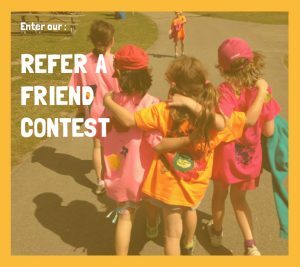 Then enter our Refer-A-Friend contest! Camp Tournesol has had a long standing commitment to give back 1% of our Annual Gross Revenue to various charitable initiatives. Give back in the schools: We also provide STEM workshop in French free of charge to locals schools and happily donate weeks at camp to local schools’ fair and fundraising efforts. 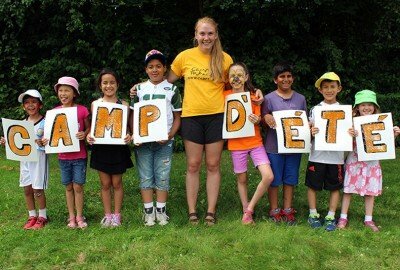 Charitable donations: Camp Tournesol continues to support the youth drop-in organization The Dam in Cooksville by cooking with the youth weekly, contributing food and time to their big holiday dinner and making a financial donation in your name. For many years now, we contribute to the Tree for the Future organization and are proud to have subsidized the planting of 5,000 trees yearly. Eva’s Initiative, an organization that help homeless youth get the skills and support they need for a better future. 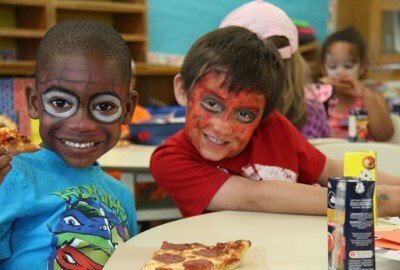 Boys and Girls Club of Canada : an organisation that helps children and youth develop the skills they need to succeed.